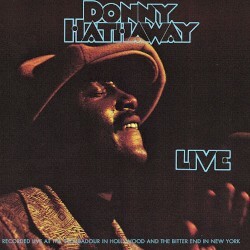 Recorded in two intimate clubs better known for their showcasing of folk and rock, The Troubadour in LA and The Bitter End in Greenwich Village, this live album enhanced Donny Hathaway's reputation. It frequented the US charts in tandem with the album he'd cut with Roberta Flack and established him as one of the greatest writers and performers of his generation. There is nothing perfunctory about this live set. Supporting Hathaway's vocals and electric piano are guitarists Phil Upchurch, Cornell Dupree and Mike Howard. Behind them is a watertight rhythm section with Willie Weeks on bass, Fred White on drums and Eric DeRouen on congas. Between them, they electrify material from Hathaway's first two albums as well as You've Got a Friend from the album with Flack. Carole King's song becomes like a hymn, with the audience singing the chorus. Recorded live solely for this album was Hathaway's version of John Lennon's Jealous Guy, performed with barrelhouse piano and a swaggering groove. It is the jams, however, when the album really ignites. The band goes deeper into the heart of the song, resulting in a trance-like groove. This is especially true of Voices Inside (Everything Is Everything). The three-minute studio cut is extended to a nearly 14-minute jam, increasing in intensity as the minutes pass. It's almost as if Mogwai played funk. Weeks' bass acrobatics are quite breathtaking, and you can hear the excitement of the audience and fellow performers as his playing gets more audacious. 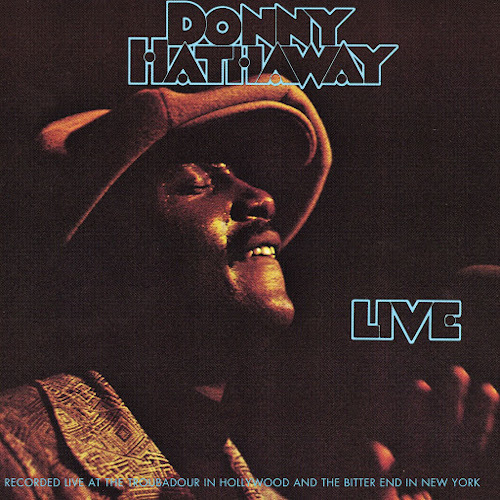 Hathaway's signature song, The Ghetto, receives similar treatment: his electric piano soloing is followed by DeRouen's intense conga breakdown, which has the effect of transcending the club and relocating the song back to Africa. It sounds free, untamed; full of wild abandon. Live also demonstrates is quite how wonderful Hathaway's voice is in concert, showing how his sometimes ornate studio work could translate perfectly to the stage. Live has been cited as something of a blueprint for many subsequent acts, and it is with little wonder. Like Aretha Franklin's Amazing Grace and Bill Withers' Live at Carnegie Hall, it really does capture the spontaneity and joy of the moment. It is still so sad that Hathaway, a performer so full of life and hope, would die so tragically just seven years after this record's release.